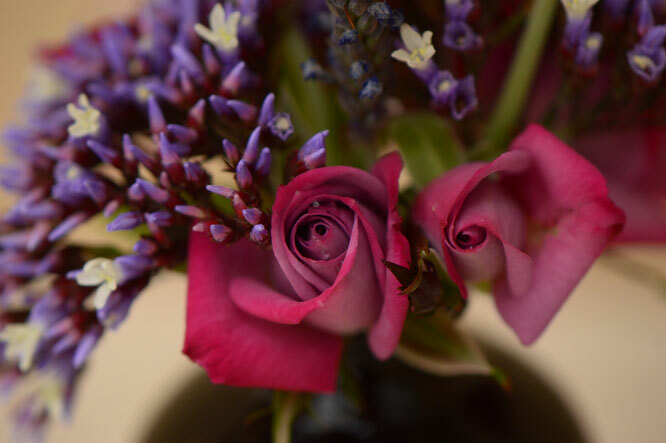 While Valentine's Day falls in a fairly lush time of year here, I decided to focus on some of the smaller flowers and make an almost miniature bouquet. It was the miniature roses decided it. 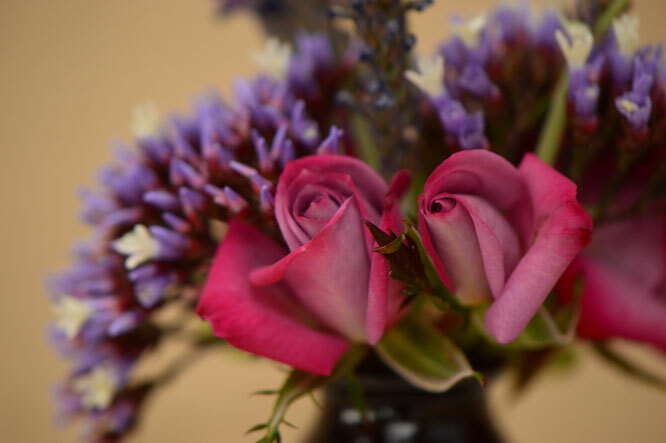 It only seemed fitting to use sweetheart roses for a Valentine's vase! 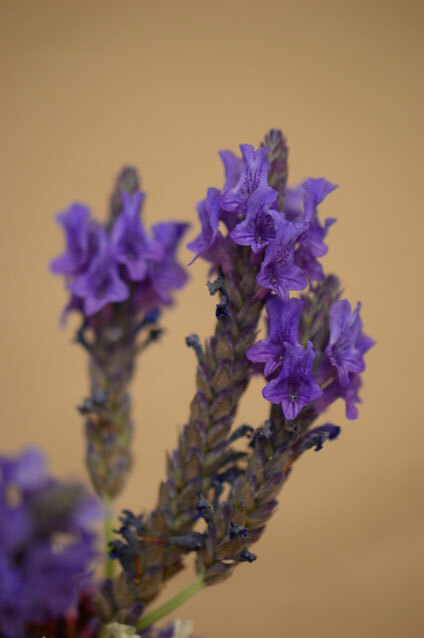 And, of course, there ought to be lavender itself, in this case the ruffles of Lavandula multifida. 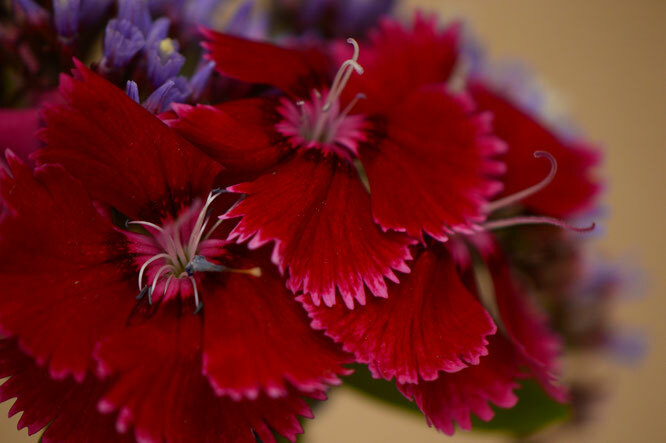 Also Dianthus... I left my dianthus in the ground after last spring, just to see what it would do long-term. All survived; most of them look a bit ratty, but one or two have come back strongly and are in bloom now. So a stem of Dianthus flowers came in. And there is a froth of purple and white from Limonium perezii. 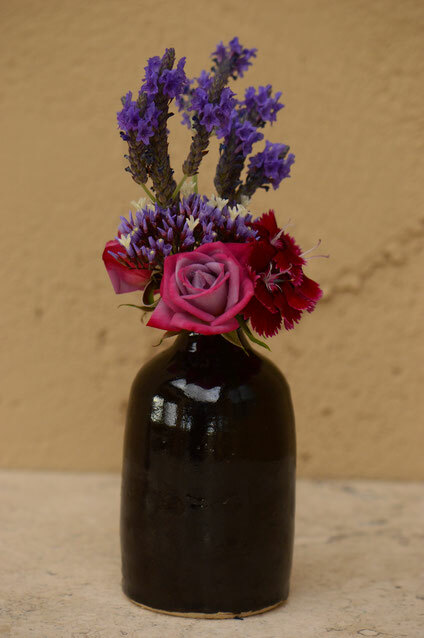 I put them in my small handthrown, stoneware bottle and photographed them outside in the patio. 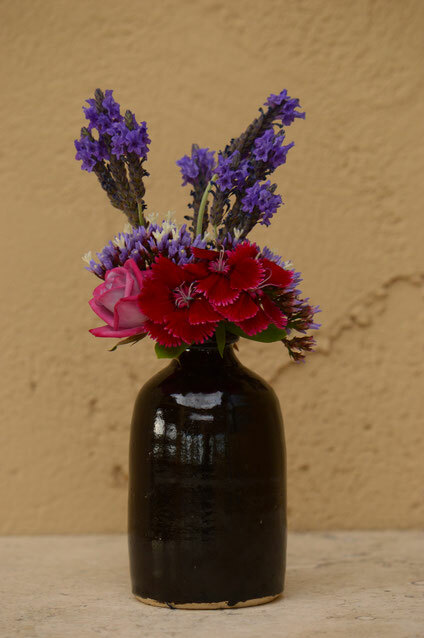 Many thanks to Cathy for hosting the In a Vase on Monday meme! Do go to Rambling in the Garden to see what others have brought indoors to brighten the week! So glad it brings happy memories, Cathy :) The colors pretty much arranged themselves on this one. Also glad to have a fellow miniature afficianado! 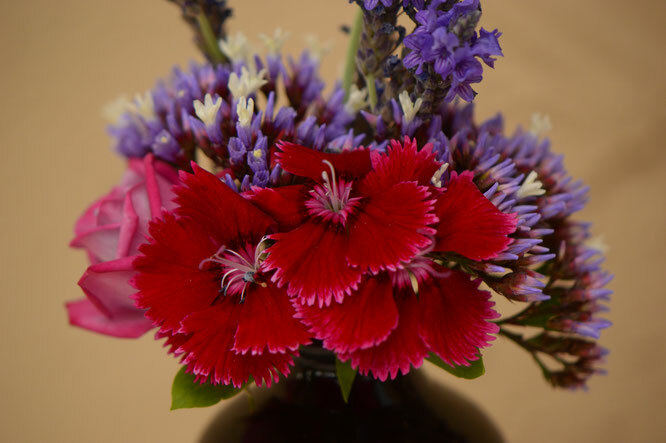 Thanks so much, Cathy :) I've always loved just about every sort of dianthus! I wasn't expecting these to be perennial here, but am quite pleased they are. 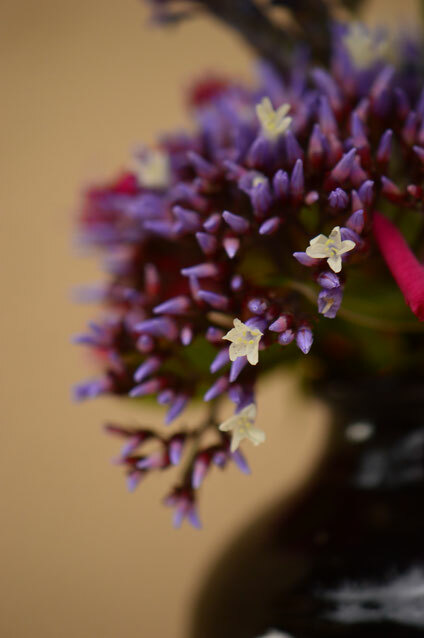 after I cut back the smother of Plectranthus, my Limonium has popped up stalks of buds. I am forgiven. Diana - It's always nice to have plants with forgiving dispositions!